The Maltese Passport is recognized in all countries and is recognized in over 160 countries for Visa-free travel. These countries include the United States of America and also gives a right of establishment in the countries of the European Union. Does making a substantial financial investment ensure me a Maltese passport? One of the leading prerequisites for obtaining Maltese citizenship via investment is the completion of the due diligence program. Additionally, the candidate has to get the principle approval from the authorities. Therefore, you are not in any way required to make a substantial financial payment towards Malta’s National Development and Social Fund Programme. This part of the due diligence process requires a clean criminal record and a police certificate. Applicants must prove that they are not carriers of contagious diseases. Candidates must make a substantial non-refundable contribution to the National Development and Social Fund set up by the Government of Malta. Applicants must commit to an investment in Malta and dispose of the necessary funds, which are €16,000 for the minimum annual rent or the buying cost of a property, which starts from €350,000. Candidates have to invest no less than €150,000 in government approved financial tools and to maintain that commitment for a minimum period of 5 years. Leasing or purchasing property in Malta gives you access to an eResidence card, which states your commitment to an investment in the country. You need to hold this document for at least 12 months to qualify for the citizenship status. This process acts as a financial guarantee for you as an investor. The due diligence program ensures your application once you have invested the entire funds that the program requires and that you are on a sure path to obtaining a Malta passport via investment and European citizenship as well. 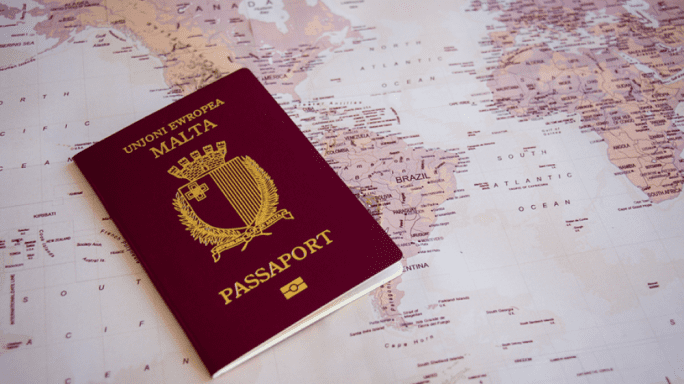 The Malta Immigration Department reveals that as of 2019 it has recorded more than 1,000 Malta passport applications through the Individual Investor Program. Applicants come from more than 40 different countries around the world and seek the opportunity of obtaining an economic passport while also establishing permanent or temporary residence on the islands. Since 2007, Malta has made it easier for people with Maltese ancestors to get a European passport and Maltese citizenship. Nowadays, direct descendants of citizens from the islands can apply for these reputable documents. The program that gives Maltese citizenship by ancestry permits people who have one or more ancestors born in Malta to gather the required documentation and enter the application process. Additionally, if the candidates still have parents or grandparents that have a Maltese descent, but do not hold Malta citizenship, they would also have to apply through the same process to ensure that the citizenship link through descent is not broken. The 2007 amendments to the immigration laws in Malta also impose ineligibility grounds. One of them states that the citizenship link through descent becomes inactive if the parent of the applicant that did not hold Maltese citizenship was alive on 1st August 2007 and dies any time after 1st August 2010 without ever applying for one. In this case, the candidate cannot sustain his case for obtaining Malta citizenship or an EU Passport. Our team of experts in Malta immigration laws can support your efforts of getting Maltese citizenship and subsequently a second European passport even if you do not intend to make a real estate investment on the islands. All you need to do is provide us with the necessary legal paperwork that attests your descent from Maltese citizens.